Gilbert and Sullivan’s operas are some of the world’s best-loved musical works, delighting audiences with their joyous wit, topsy-turvy logic and extravagant wordplay. This glorious treasury is the definitive annotated edition of all fourteen of their operas. 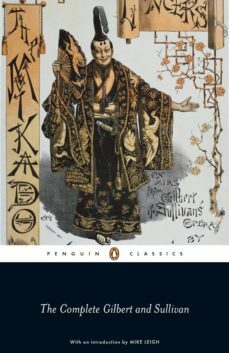 From the partially lost work Thespis, the first collaboration between W. S. Gilbert and Arthur Sullivan, through the triumphant comic romps The Pirates of Penzance and The Mikado, to lesser-performed gems such as the fanciful The Sorcerer and the acerbic lampoon Patience, Gilbert’s libretti are collected here in their most accurate and faithful form. There is a fascinating commentary on each work, telling the extraordinary stories behind the inspiration for the opera and its performance history, and giving plot summaries and original cast lists.